Offered is a beautiful stock certificate for the famous card/gum producers, Goudey Gum Company, issued to H.C. Mathews, dated November 2nd, 1920 for 3 shares at 100 dollars each. Signed by president/founder E.G. 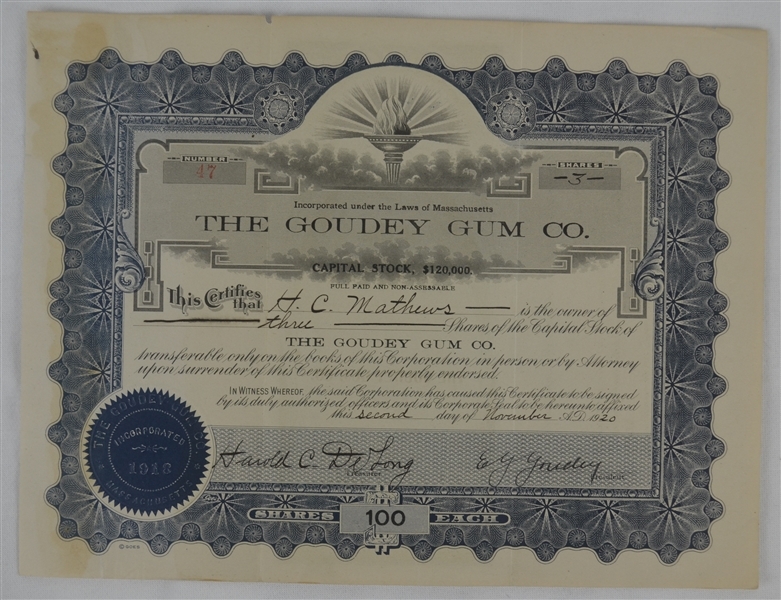 Goudey, along with the signature of Harold DeLong, who would, of course, eventually leave to pursue his own dream of paradigm pasteboard production. 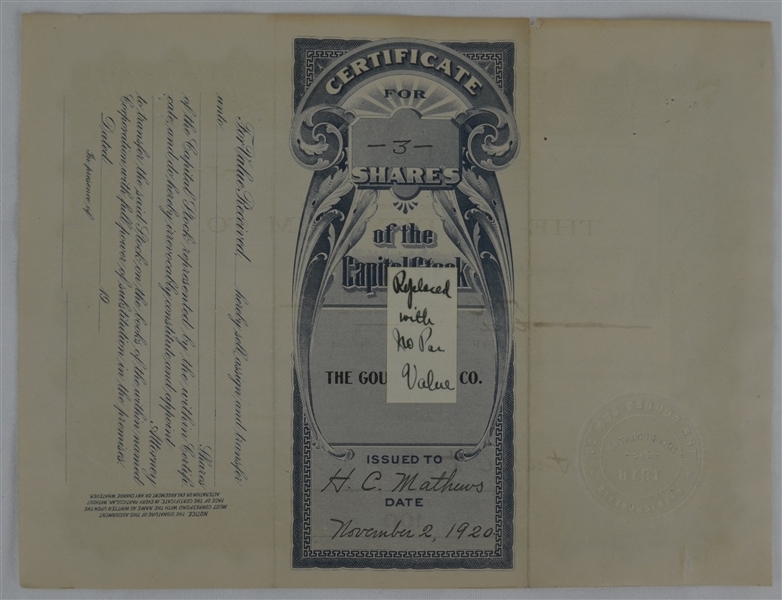 This rare document has remained in amazing condition considering it is 97 years old.